Crisp lager, a je ne sais quoi of apple or else. 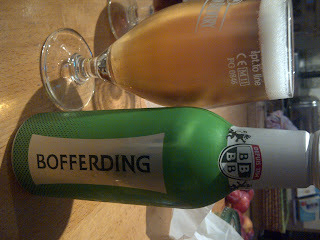 Smooth and dry, crisp malt with some tangyness. 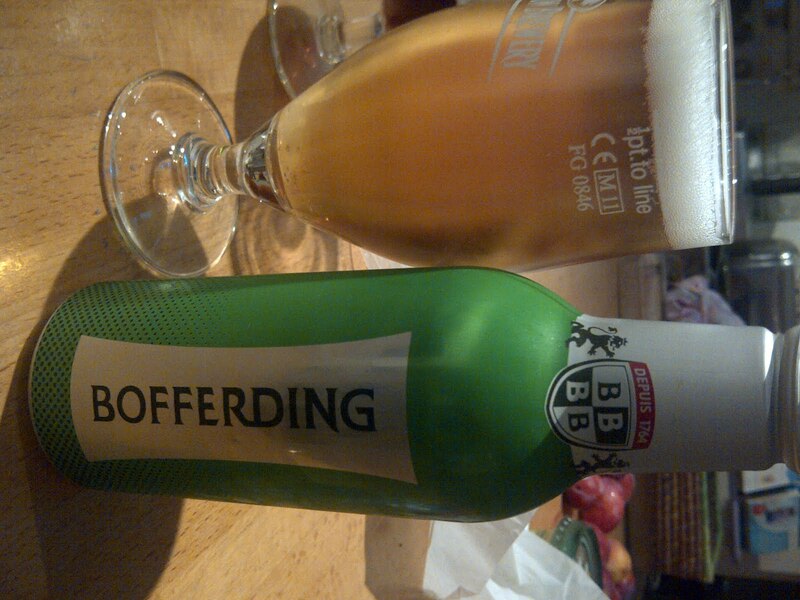 Why bother with Heineken when you can have a much nicer Bofferding?